770 chairs by J.A Motte. It is made of a metal frame covered in foam on a brass base. Referenced in "decarateur des annees 50" by P Favardin. Matching settee is available, but not included. 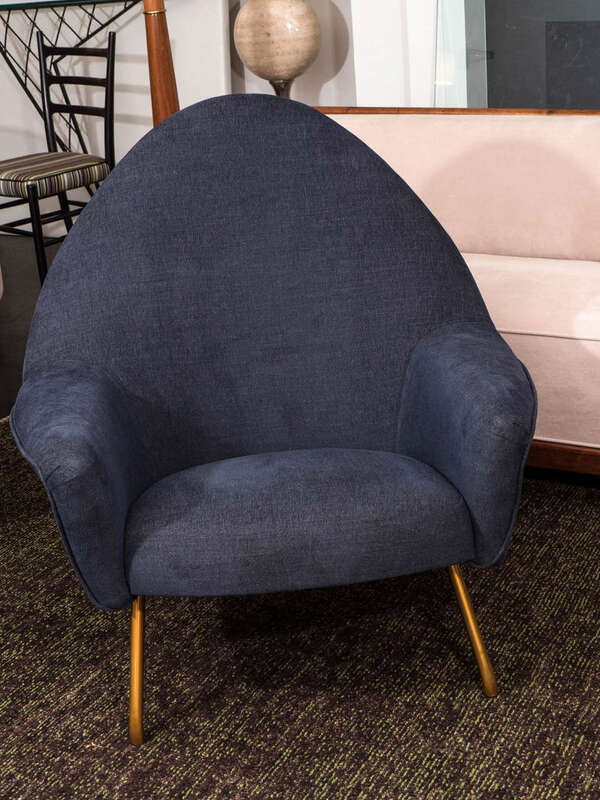 Rare two-seat version of the "770" chair by Motte, a very interesting design seldom seen in the US. 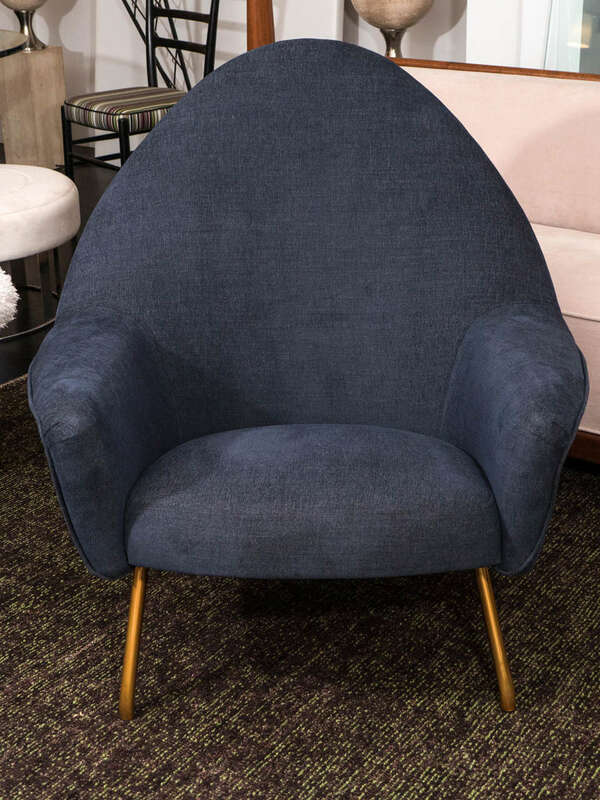 Newly upholstered seat and back with brass legs. Measures: Seat depth 23". 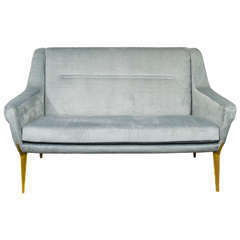 Vintage settee by Charles Ramos with gilt aluminum legs and fresh velvet upholstery. 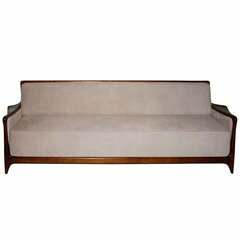 Early Borsani D70 sofa restored like the example found on the Borsani book cover, white on white. Fully adjustable, it opens into a bed. Two identical ones available. Inquire. 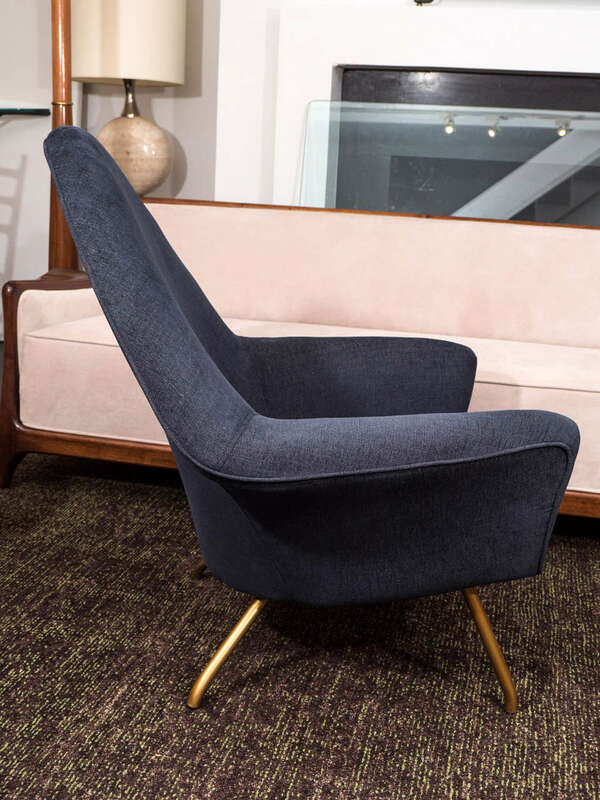 Joseph André Motte armchair in original condition. 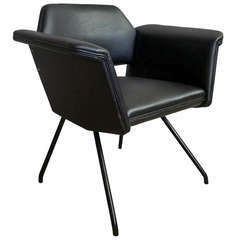 770 chair by Joseph-Andre´ Motte for Steiner. 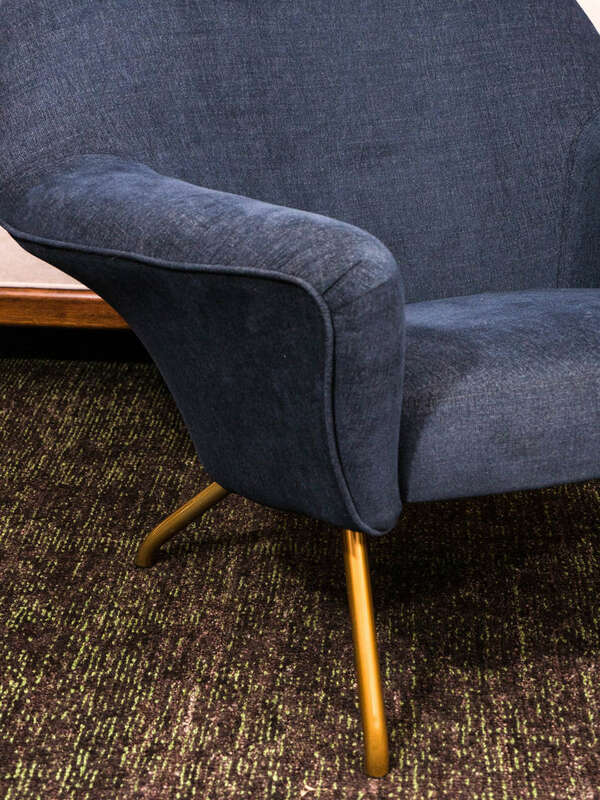 Different colors and conditions but these 10 chairs need to be reupholstered. 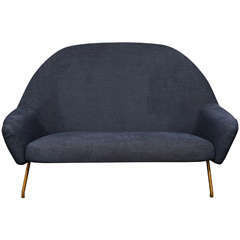 Armchair model 770 by Joseph-André Motte for Steiner, 1958. Black lacquered metal feet. 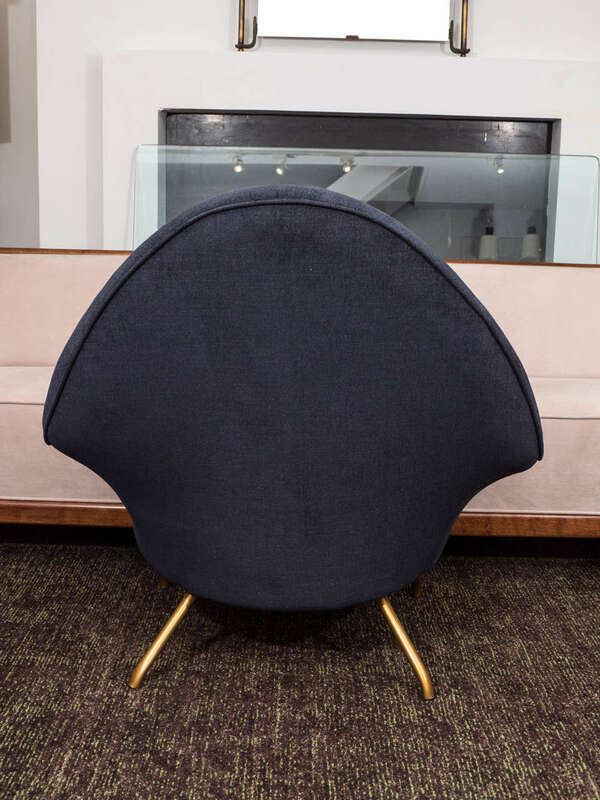 Matching ottoman from the same creator is available. Price and photos on demand. 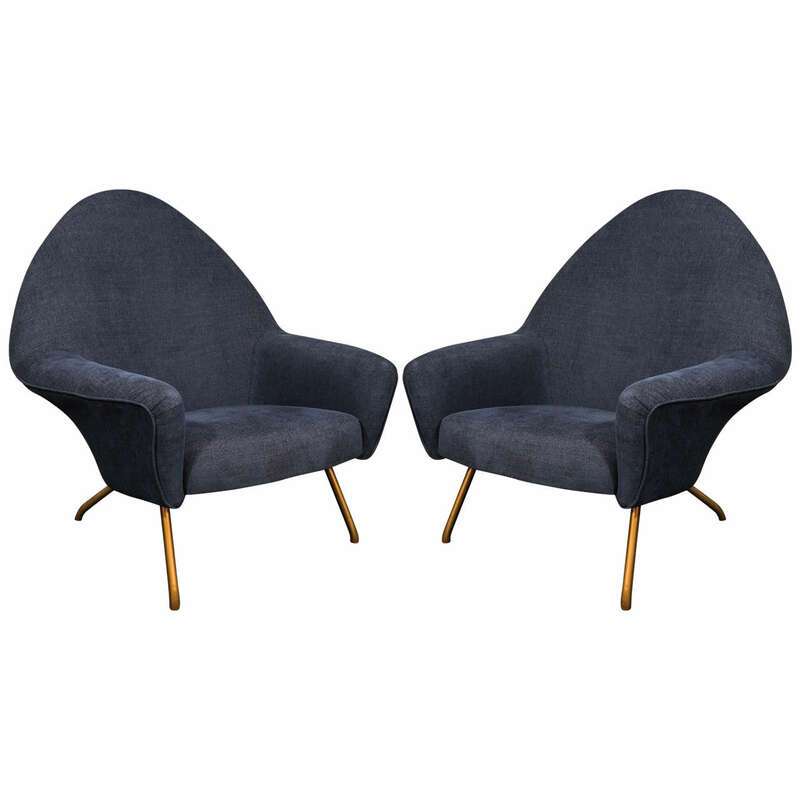 Pair of armchairs model 770 by Joseph-André Motte - 1958.